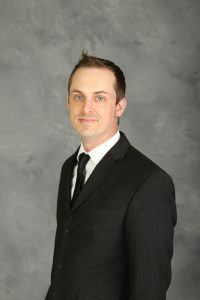 Chris Delfs is a 2009 Morningside College graduate who even worked at Morningside for a time before pursuing a career in real estate. Delfs is the current assistant managing broker at Keller Williams Siouxland. Delfs also serves as a board member for several organizations and is an active volunteer in the Siouxland community. “I find that giving back to my community financially or with my time and talents is a great way to stay connected and help me feel a sense of adding value to those around me,” he said. Delfs said that he chose to attend Morningside for convenience, the atmosphere of the campus and quality of education that he would receive. Today, he is still involved with campus events and activities.”I’ve found that the Morningside experience does not end at graduation. For me, remaining connected has helped me appreciate my college experience,” Delfs said. His favorite thing about Morningside was the people. “The culture of the college from when I met with admissions was like walking in and meeting with family. It carried throughout the staff and faculty during my Morningside experience,” Delfs said. During college, Delfs enjoyed being involved. He worked on campus at the radio station, KMSC (92.9 FM), and served as the manager there for a short period of time. Additionally, he worked in computer services. “Both were great experiences and a fun way to be connected with the staff and students,” he said.